A number of plug patterns are used throughout the world, so determining the correct one is essential. 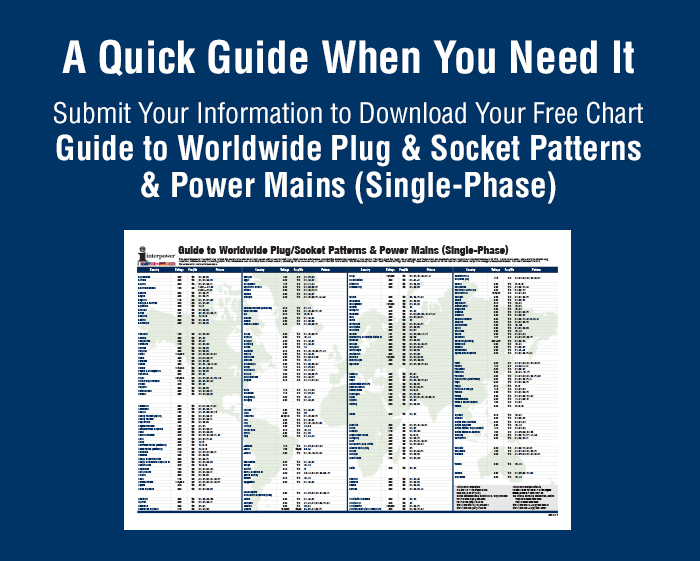 Interpower offers a Guide to Worldwide Plug and Socket Patterns and Power Mains (Single-Phase) that gives frequently specified plug patterns by country. This guide also has information on the world’s voltage and frequency requirements.